The Patriot Game is an Irish Rebel Song written by Dominic Behan. He set the lyrics to the tune of an earlier folk song titled, The Merry Month of May . 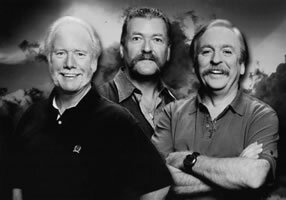 This version by The Wolfe Tones is featured on their albums, Celtic Symphony and The Anthology of Irish Song . With the lo-cal bat-ta-lion___ Of the bold I-R-A. 3/4 time: This means there are 3 quarter-note/crotchet beats per bar, therefore the count is |1 2 3|, or |1& 2& 3&| etc. or 160 bpm ( ) to sound the metronome on every beat of each bar. The Wolfe Tones use a capo on the 1st fret, and play in the key of A major which audibly, is still the Key of B♭ Major. A major + 1 semitones (capo on 1st fret)= B♭major. A capo was most likely used because the chords are easier to play and cleaner sounding especially for finger-pickers. If you are not playing along with the video, you don't have to use a capo. You can play in any key you want. You just need to make the correct transposition with each chord if you do choose another key. With each chord you transpose, you must apply exactly the same changes to each chord, i.e., if you decide to tranpsose from the key of A Major to the key of C Major (an increase of 3 semitones), you need to increase each chord by 3 semitones, therefore A-D-F#m-E-E7 becomes C-F-Am-G-G7. "The Patriot Game" chords and lyrics are provided for educational purposes and personal use only.